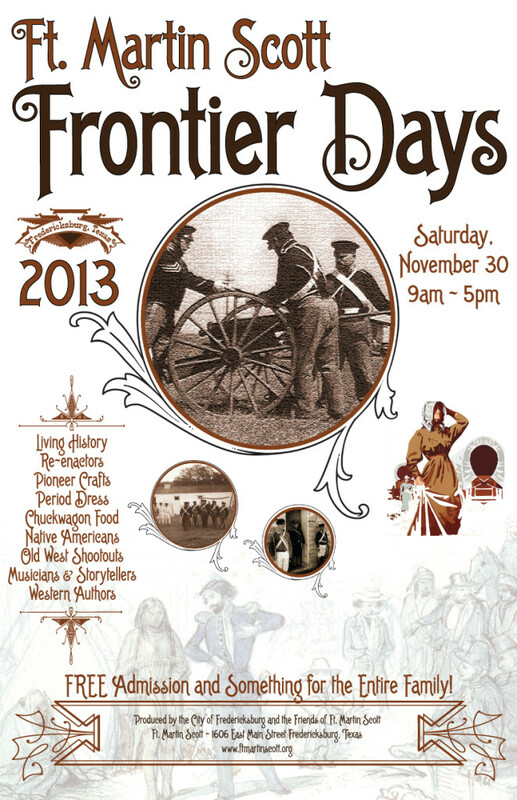 This Saturday, November 30th, join us at Fort Martin Scott in Fredericksburg for “Frontier Days”. This is a Living History day in the life of the Fort as it would have been in 1850, complete with Normal Military, Paramilitary and Civilian Activities. The scenario is that ‘the Fort is in the midst of construction and a treaty expedition with the Indians is being assembled at the Fort. 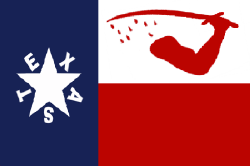 The Dragoons (mounted infantrymen) and a company of Texas Rangers are to accompany Indian Agent, Judge John H. Rollins to the council grounds on the San Saba River’. Visitors are encouraged to visit the various Fort buildings and tents, which will be occupied by Soldiers, Rangers and Civilians going about their daily lives. All of the living history interpreters will visit with you as their various duties permit. A full day Re-Enactments, Pioneer Crafts, Period Dress, Chuck Wagon Cooking, Native Americans, Old West Shootouts, Western Authors, Musicians and Storytellers. This is the first of four annual events scheduled at the Fort to be presented by the City of Fredericksburg, the Fort Martin Scott Committee and the Fort Martin Scott Friends. I’ve attached some promotional material for your perusal and some information on membership, as well. We certainly hope you can join us this Saturday, the weather’s going to be beautiful and FREE ADMISSION TO ALL!